Last week, a large flatbed truck carrying a Boeing 737, hit Gauteng traffic as it made its way to Fourways Mall, the home of Kidzania Johannesburg. 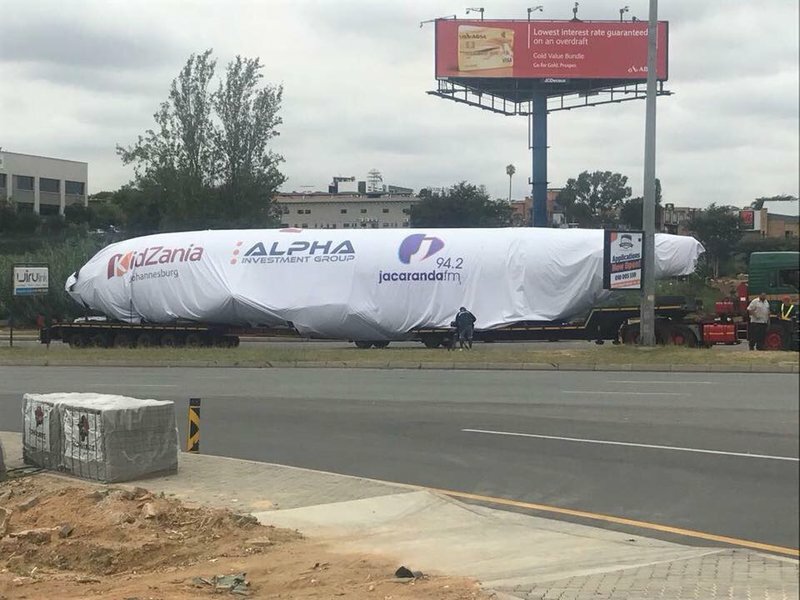 Last week Tuesday saw the internet abuzz over a Boeing 737 that took to the busy streets of Gauteng to make the journey to its new home at KidZania. KidZania is an interactive city made for children aged 2-14 that combines inspiration, fun and learning through realistic role-play. The newly built indoor city will cover over 7,000 square meters and house the Boeing 737 within the centre.